It was 4/20 two days ago, and although you may be thinking that I was here to talk about a certain type of green plant, that is certainly not the case. I am sure if you are here reading this right now, you definitely have not been living under a rock for the past several months and have seen the Kony campaign video. I remember when I first watched it and my eyes teared up. It was an excellent 30 minute short film that tried to get as much through to the viewer as possible, using simple concepts and language. 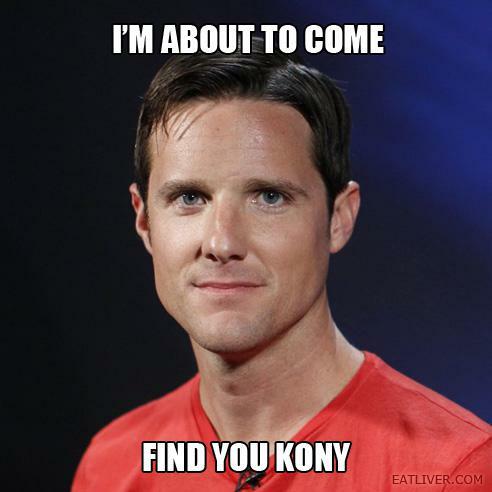 It was a campaign that encouraged everyone to help make Kony famous so that his children army will be no more. Kony recruited children for his army, snatching them from their houses and forcing them into carrying guns. This campaign called for awareness, and encouraged everyone around the world to participate in an event named “Cover the Night”, where everyone would help plaster posters all over the city so that the public is made aware. This event was to occur worldwide on April 20th, 2012. However, I have learned about the Lord’s Resistance Army and Joseph Kony a good 2-3 years ago while taking a course on Social Justice. It was not new news to me and I had background information on the event. That is when I realized those lacking background on the topic was really only given a shallow view of the situation. What really hurt the campaign was ultimately bad public reception. Of course, after first watching it, everyone was shocked and touched by the video, allowing the short film to go viral and spread to all corners of the earth within several days. There was a time when I could not open my Facebook without seeing some sort of reference to Invisible Children and their campaign. 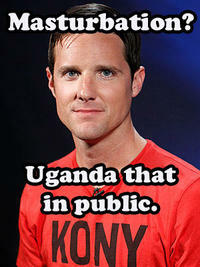 The other factor that brought this campaign to its fall was Invisible Children’s founder Jason Russell. Apparently, due to malnutrition and exhaustion, Russell resulted in acts of public indecency (including masturbating in public) and public disturbance. (link 1, link 2) This gave the organization and campaign bad media, encouraging even more distrust to arise. Of course, comedy websites such as 9gag started creating memes towards this event and only caused more ridicule. So April 20th has come and gone, but downtown Vancouver, as well as the UBC’s Vancouver campus, is anything but covered in Kony awareness posters. I saw three posters around the UBC bookstore while I was waiting for it to open so I can get my monthly U-Pass. I have not been downtown, but according to the newspapers as well as friend’s observation, there was a lack of action. Apparently, a group of 17 did show up downtown and did their best to “cover the night”. With more than 21,000 people clicking the “join” button on the Facebook event, Invisible Children definitely expected more than the 17 who showed. What made me sad was that Invisible Children sent Lindy Bateman and her group of five volunteers, all the way here to help organize the event. Although they were volunteers, their expenses were paid by Invisible Children. (Link) Similarly, another 16 teams of the link was sent out to various parts of North America. Whether it was because April 20th was a day where everyone got preoccupied with cannabis, or whether it was due to Coldplay being in Vancouver, “Cover the Night” lacked public support and ended with not a bang, but a fizzle. What did I learned from this whole ordeal? The public is easily persuaded to believe one thing, but can be equally receptive to new claims that arise. I agree that the search for Kony is important, and can save many who has to live in terror. I am disappointed with the way this campaign was carried out and its ultimate failure. Hopefully, people do not get too caught up in the fact that this campaign itself was a failure, but also realize that underlying all this is the fact that the LRA still exists and children’s lives are getting affected. One good thing that Invisible Children ultimately managed to accomplish was awareness– whether it was positive awareness is up to debate. Ahaha XD Kinda… was really wanting to blog 😦 Plus, I was gonna make a post on this when the whole Kony thing first broke out 😛 SO i guess it was the perfect excuse for procrastinating! Mine are pretty mindless too 😛 Unless if i find something i get worked up about. Wait what?? Yours are NOT mindless. So many of the topics you touch on are so relatable!